The Australian Reed Warbler is a fairly common bird in its habitat across Australia and they can often be seen flying low across the water between reed beds or perched high on a stem singing. 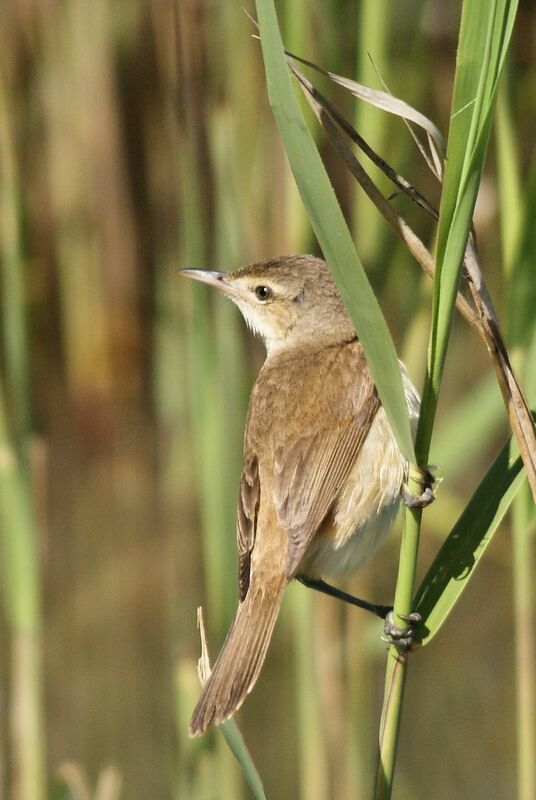 As with other reed warblers, they are insectivorous and build nests between reed stems. This species was originally included as part of the Clamorous Reed Warbler, but is considered by most to be a distinct species. They are fairly small (16-17 cm) and plain brown in appearance, being lighter underneath. 1: Greenfields Wetlands, Mawson Lakes, SA, 13/10/2012.